Preparation, preparation, preparation! There is nothing more important when it comes to a hunt of a lifetime. This hunt would be a little different than any other though. For me this hunt will be one I will never forget. 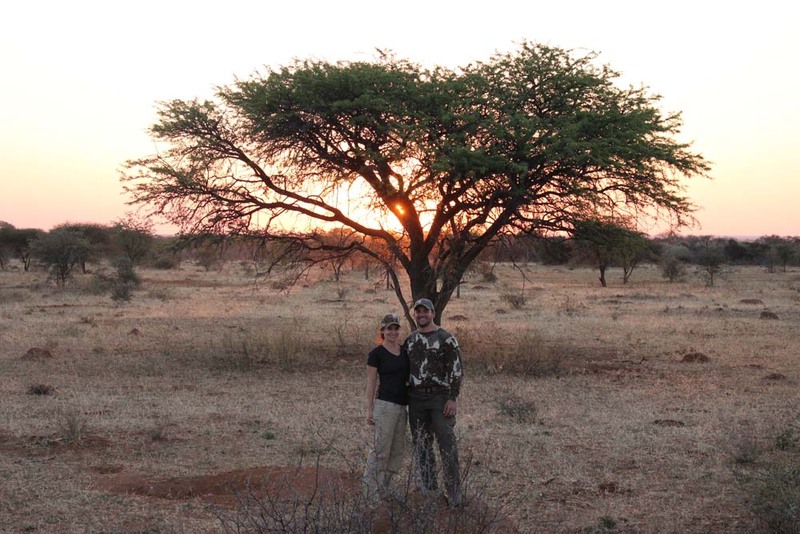 I’m heading to South Africa to hunt with Limcroma Safaris, something I have always dreamed of but I never thought I would be headed to the Dark Continent for my honeymoon! Yep that’s right my wife and I are headed to the bush to bow hunt some of the most dreamt about game of every bow hunters dream! I wouldn’t have had it any other way than to have her here with me to experience this hunt of a lifetime with me. Being that we are both bow hunting there was a lot of preparation for the both of us. From equipment, to pass ports, to all the gear that we need to capture all of the moments we wanted to share with family and friends. Flights to South Africa can range from $1400-$2000. I strongly advise that you book your flights as early as you can. This will save you some money in the long run. Be sure to get your pass port in advance and not wait till the last minute. I almost did and it almost cost me a few extra hundred dollars. Not a good idea when you start comparing every dollar you spend to money off of a trophy! 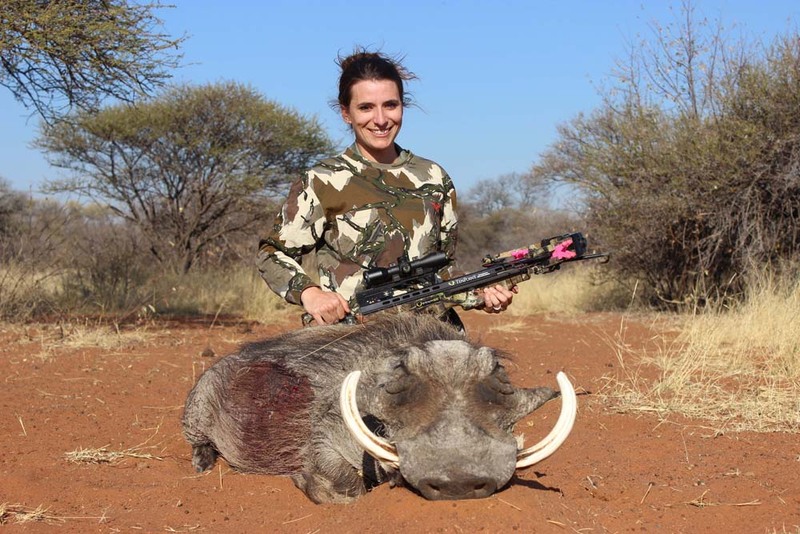 Spend $100… well there is a quarter of a warthog!! Be prepared for a long day of travel. We are flying from Texas to Washington to Dakar then to Johannesburg approximately 22 hours of travel. We arrive in the evening and are staying at the African Sky guesthouse, which came highly recommended, the next morning we will be picked up by our PH and will headed to Limcroma. We plan to hunt for 8 of our ten days but are also planning on staying a few nights in Sun City, which has many resort hotels for you to experience different activates other than just hunting if you like to. Remember this is my HONEY MOON… compromise guys! I encourage you to bring your significant other on this trip if you ever choose to come and Sun City is a good way to brake up the mix if you choose to. 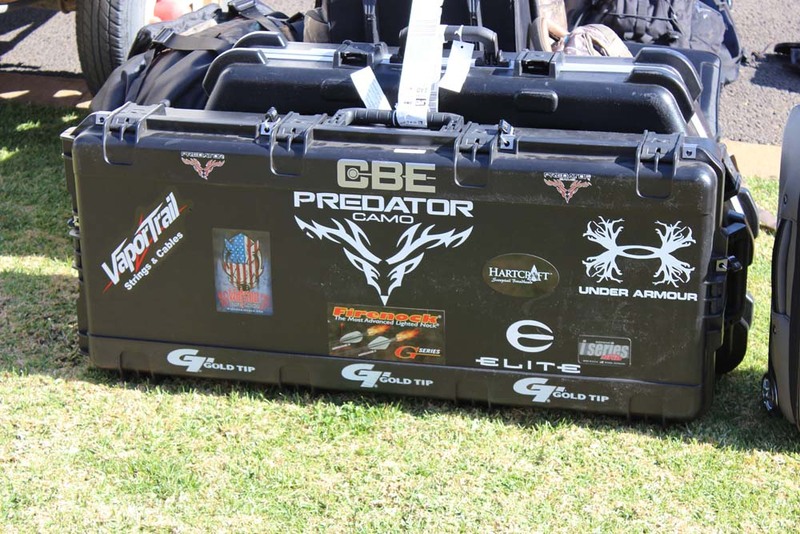 When it comes to packing your hunting equipment and cloths its easy to over pack for a trip like this. Remember most outfitters have staff that will wash your cloths as needed. I recommend at least two-three hunting suits to rotate through and then just enough casual cloths to sit by the campfire while you and you buddies or in my case wife shoot the breeze with accompanying hunters about the days hunt. Being that we are going in what is winter in South Africa, I chose to layer more than anything. My forecast looks like it is going to be in the high 30’s in the am and will warm up into the mid 70’s during the day. I made sure to pack my Adrenaline pant and jacket along with my Compass top and my hoodie, along with a few base layers and I was all set. Make sure to invest in a good bow case or gun case. Don’t forget your TSA locks! Our choice was the SKB 3i Double bow case and single bow case. All of our day cloths and hunting cloths fit perfect in our Watson Airlock bags! You can’t beat the Watson products for scent protection and storage while traveling. My wife and I both chose to bow hunt while in South Africa. I set her up with a crossbow because this is her first bow hunt! Yes you heard me her first hunt!!! She sure is lucky that’s for sure but so am I…. Remember this is our HONEY MOON. Here is a list of our equipment. I’m an avid bow hunter so of course I chose to bow hunt! 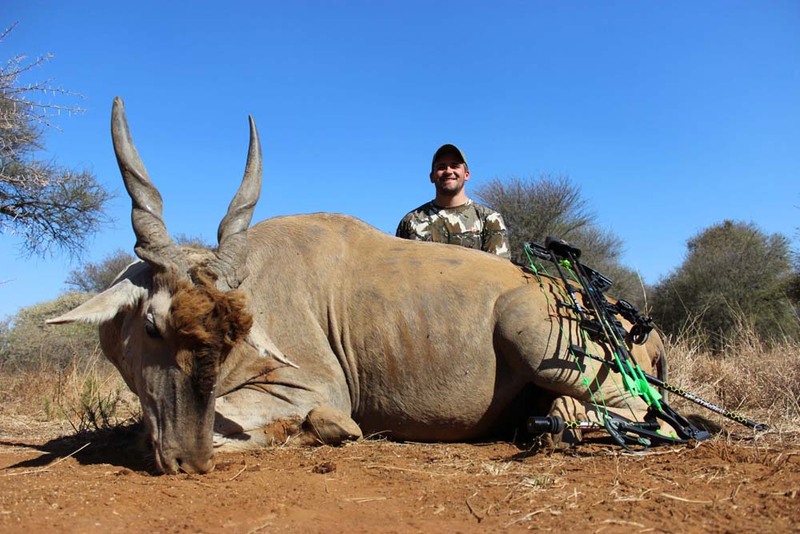 I know many bow hunters think they need 80lbs for hunting in Africa but you need nothing more than what you would take on an elk hunt or whitetail hunt in the states. Now, if you chose to hunt big game than yes your equipment may need to be altered to your hunt, but since we are just hunting plains game this go around I chose to bring my normal set up and a back up bow. I have always hunted with 80lbs some people ask why…. Well to be honest, because I can! I practice year around and am comfortable with it! That’s the most important factor, don’t over bow yourself make sure your comfortable with what ever poundage you chose to hunt with. Now I know some of you guys are wondering why my arrows are so heavy. Well it just something I have always done. I try to find the most optimal speed and arrow weight with my bow so I can obtain the most kinetic energy as well as momentum factor for optimal penetration. Other equipment you may want to consider bringing is a good camera to take pictures with and a video camera to film your hunt. Don’t for get a good set of optics we prefer Vortex, and a reliable range finder. Over the past few months we practiced shooting our equipment a lot. From standing to sitting, to shooting off the knees, you never know what to expect but you better be prepared for any shot scenario. We plan on doing some spot and stalk, tree stand hunting and hut blind hunting which will allow you to shoot from a standing position. If your shooting a cross bow I recommend on practicing off shooting sticks. They sure will come in handy. 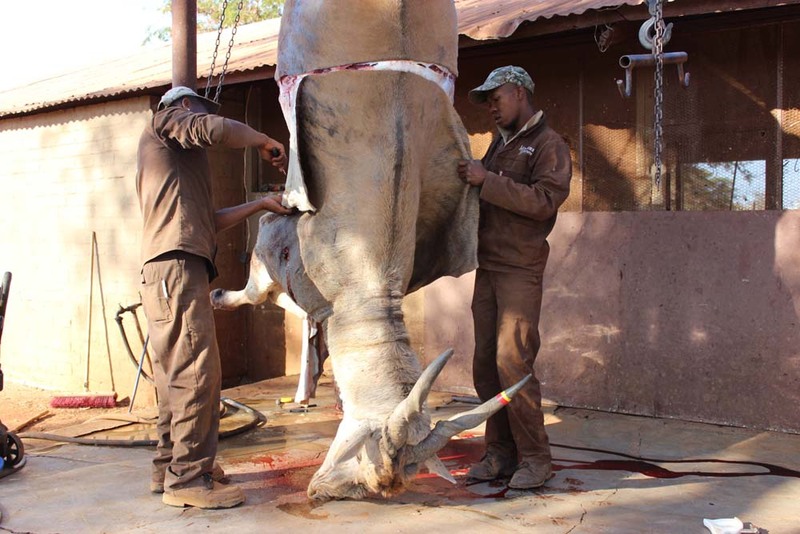 There is so much when it comes to preparation for your hunt to Africa. I hope this brief overview gives you some insight and maybe even gets you guys excited to book a hunt of a lifetime for yourself!